ShredBank is a multi-award winning on-site document destruction company based in Northern Ireland. We shred confidential information at the client’s premises using mobile shredding trucks giving complete security and peace of mind. 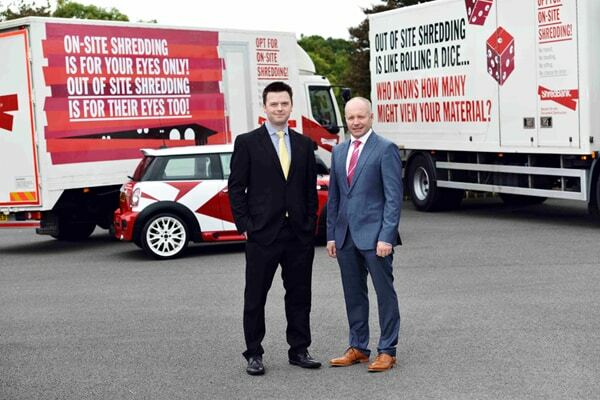 The company was established in 2007 by Philip Bain and James Carson and since then the company has grown to become the largest locally owned on-site shredding business in Northern Ireland. ShredBank we know the importance of security and peace of mind which is why we will only destroy your confidential material on your premises and provide you with a certificate on destruction before leaving. We are an ISO 9001:2008 and Investors in People Silver.